Good sleep is key to productivity, vitality, and happiness, and when we don’t get it, we feel it! In my acupuncture practice, I’ve found that many of us experience restlessness and difficulty sleeping around the time of the full moon. For most people, even if they don’t consider themselves sensitive, the full moon brings energy and a heightened sense of awareness. This can be a blessing — as long as we can also sleep and wake up feeling rested and rejuvenated! Any time of the month (or moon), holistic acupuncture care can address insomnia — and the resulting depression, anxiety and other health issues — on a few different levels. First is information. For some, simply being aware that the moon is full and being ready to handle the increased flow of energy, is enough. The rush to get to bed at a reasonable hour leads us to skip self-care to prepare for a good night’s sleep: A warm bath, a cup of relaxing bedtime tea, and staying away from caffeine in the latter part of the day. For all of human history, the moon has been a friendly presence, a way to keep time and — when the moon is out — to have some much-needed light after the sun goes down. 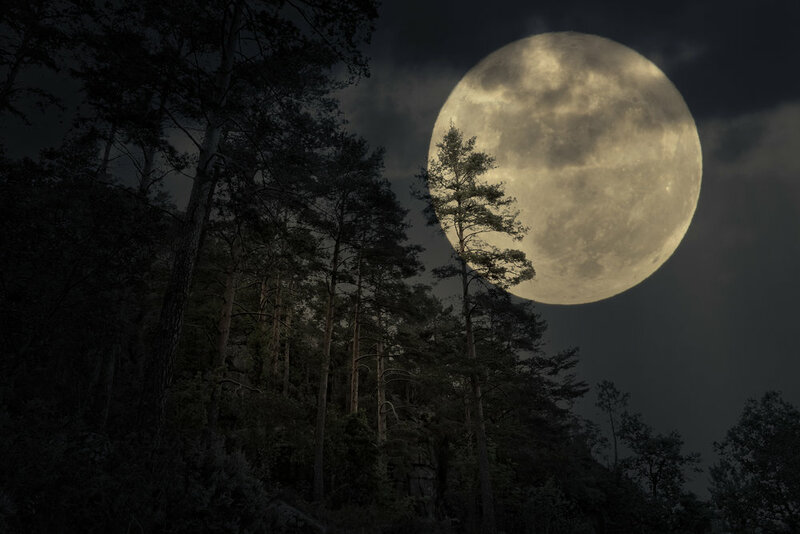 By acknowledging the full moon’s presence, we can take charge of the day with improved focus, clarity and energy, and gently ask her to guide us into sleep as well (even if that sounds a little “woo-woo” to you — just try it). Another way holistic acupuncture addresses chronic or patterned sleeplessness is through herbs. Santa Cruz grocery stores carry an abundance of capsules, tinctures and teas — all are great ways to consume safe, low doses of herbs that have powerful sleep-boosting properties. The classics chamomile and valerian are often blended with skullcap, lavender, tulsi, and kava to quiet both the mind and body in preparation for sleep. If you’ve tried this and it’s still not helping, come talk to me about Chinese herbs that can help. Yes, acupuncture can directly address insomnia as well, through precise needle points that balance the meridians that have become unbalanced. Don’t be afraid to make an appointment for something as “small” as trouble sleeping! Sleep is one of the foundational aspects of health that traditional Chinese medicine practitioners look at as an indicator of whole body health. Your sleeping/waking cycle says a whole lot about what’s happening for you physically, mentally, and emotionally, from your organs to your nervous system. If you find yourself awake tonight, gazing at that beautiful full moon, take note of what forms your sleeplessness is taking. Perhaps it’s your body that’s restless, or maybe it’s just that intense thoughts keep coming into your head, activating your nervous system. Take note of what direction your mind is going — past or future? Worried or excited? All of these are clues as to what is “off” in your system, and how I can help when you come in for your next acupuncture appointment.